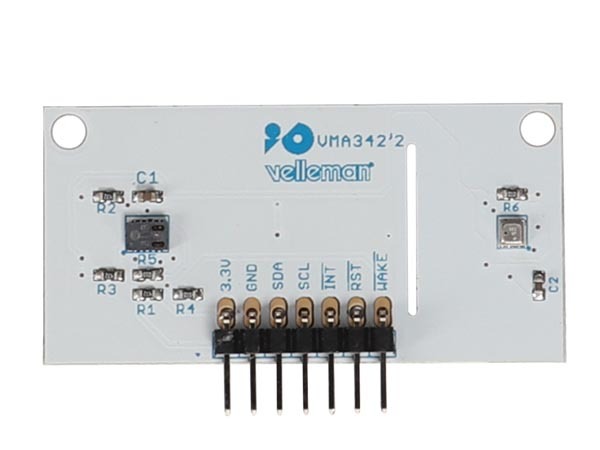 -1 VMA342 air quality sensor combo board kopen? Ever wondered how good the air quality is in your living room? Or do you need proof of why you fall asleep in a non-ventilated meeting room after 3 hours? Look no further! 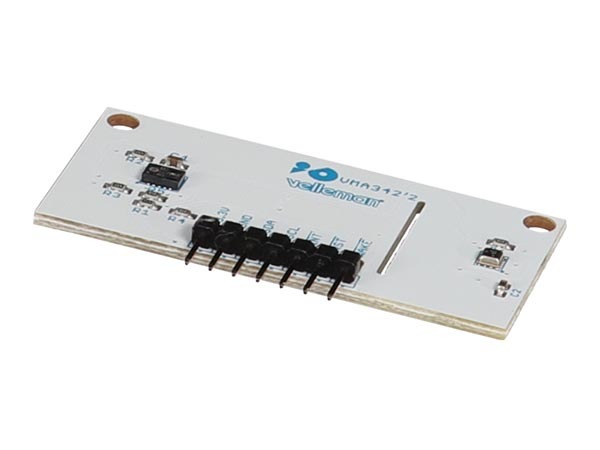 This air quality sensor combo board will give you the answers in no time! 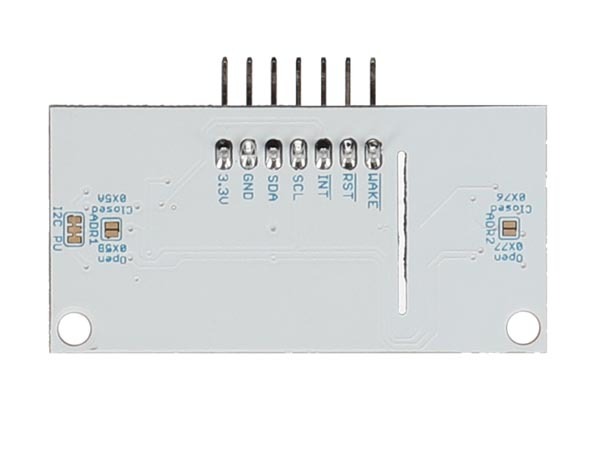 This air quality combo board senses the atmospheric-quality by using the popular CCS811 and BME280 ICs. It provides a variety of environmental data including barometric pressure, humidity, temperature, TVOCs and equivalent CO2 (or eCO2) levels. Communication is possible through the I2C protocol. The CCS811 is an exceedingly popular sensor, providing readings for equivalent CO2 (or eCO2) in parts per million (PPM) and total volatile organic compounds in the parts per billion (PPB). The CCS811 also has a feature that allows it to fine-tune its readings if it has access to the current humidity and temperature. Therefore, we added the BME280, which provides humidity, temperature, and barometric pressure. This allows the sensors to work together to give us more accurate readings than they'd be able to provide on their own. Since the CCS811 heats up a bit, the PCB is precisely designed to not influence the readings of the BME280 sensor.